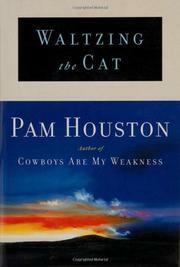 An unconventional protagonist and vivid style are the distinguishing features of this nevertheless uneven second collection of 11 interrelated stories from Houston (Cowboys Are My Weakness, 1992). The central character and narrator here is thirtysomething Lucy O’Rourke, a landscape photographer with a penchant for physically challenging adventure (white-water canoeing, hanging with “glider pilots”) and a history of romantic indecision and folly (“I always pick the wrong man . . . I’m kind of famous for it”). For example, her relationship with one promising male (Josh) is defined by finding who is the superior “river runner.” Ergo: Lucy’s encounters with men occur in such contexts as a storm off the coast of Bimini or a narrow escape, on an Ecuador river, from a vicious “grand cayman.” Much of this is presented with impressive vigor—Houston is a fine descriptive writer and has a keen ear for crisp, give-and-take dialogue—and Lucy’s present confusions are efficiently interwoven with complex memories of her uneasy detente with her “difficult” parents (the title story, about their indulgent love for a pet cat, is a beauty).Still, the volume feels undeveloped—as if Houston were only hastily jotting down random observations about Lucy’s tumultuous life and loves. The impression of uncertainty is deepened by a curious strain of faux-mysticism that threads weirdly through these stories: sonorous advice, for instance, offered by a Pakistani cabdriver in Manhattan; a chance meeting, at a California airport, with Carlos Castaneda (which “tells” Lucy she must accept the Colorado ranch left her by her grandmother’s will); and, in a tenuous “Epilogue,” her inexplicable bonding with an agelessly wise (and utterly unbelievable) seven-year-old girl. There are gorgeous, arresting flashes of insight, color, and drama aplenty, but there isn’t a book here. Houston remains a gifted writer who needs a subject.